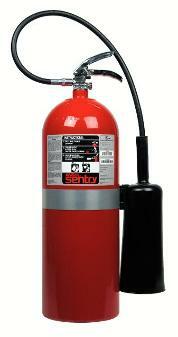 Portable fire extinguishers are required in all public facilities. Their purpose is to save lives and property. 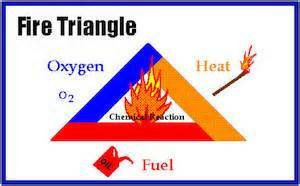 They are the first line of defense in fighting fires. 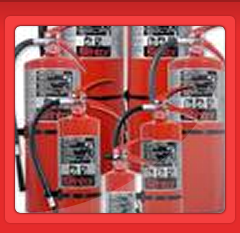 To stay in line with local authorities your Fire Extinguishers should be VISUALLY INSPECTED MONTHLY by someone properly trained on the monthly inspection procedures. 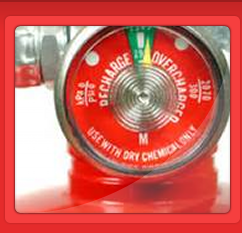 ANNUALLY your Extinguishers need to be professionally inspected and tagged by someone licensed by the State of Texas. We offer both services, monthly and annual inspections. 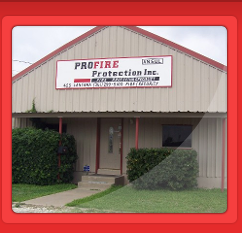 Once you call us for the initial service we enter your location information into our computer system and automatically the next time your inspection is due we will contact you for an appointment. This service reduces the amount of time spent searching out and keeping up with inspections. We always make a locator sheet for your convience. This sheet lists all your extinguishers, their locations, and the manufacture date. 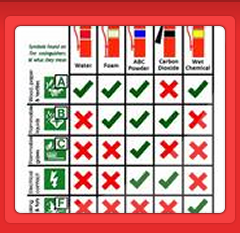 It also helps us to keep all your extinguishers current by letting us know what services are going to be required on our next visit. A majority of our services can be done on site. Our trucks are fully equipped for almost any situation. On occassion we will need to bring your extinguisher back to out location. If this happens you will be left a loner in its place and your Extiguisher will be returned within 48 hours. 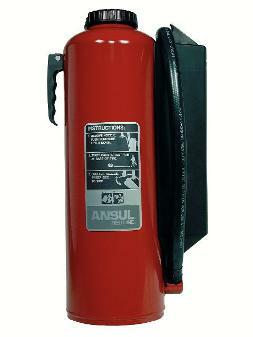 We also sell new and refurbished extinguishers in all sizes and classes.